EXPERIENCE IS THE KEY TO UNLOCKING THE JOB MARKET! A tertiary qualification is a good start to a career; however, it by no means guarantees that you will walk into a job. There are numerous factors which have altered the job market – the global economy being one of them, the other is the fact that there are more job seekers than there are jobs so one has to make sure that you stand out from the other candidates Boston City Campus & Business College is well aware that having some kind of work experience is one the best ways to do this. It has been reported by the South African Reserve Bank that South Africa’s unemployment rate may not decrease by 2025, despite the fact that there will be more people working. What this highlights is that those entering the job market will have to find ways of making themselves as marketable or as employable as possible. Employment agencies have noted that your studies alone do not meet the ‘minimum requirement’ for a job. What employers want is someone who is job ready or at least capable, to a certain extent, of being able to get the job done. According to Byron Riddle, SAICA’s (South African Institute of Chartered Accountants) project director for transformation and growth, graduates need to approach their careers in the same way that a pilot learns to fly. They need to work in an office or work environment gaining soft and hard skills just as a pilot practices in a simulator before flying a real plane. Only once they have acquired the basic skills can one move into the ‘real world’. Students cannot, therefore, wait until after they have graduated to enter the working world. There are many opportunities for them to gain valuable work experience whilst they are still studying. This kind of experience can be in the form of attending open days or job shadowing, which helps one gain valuable insight into whether you are making the right career choice. It can also be volunteer work, casual or part time work during vacations or over week-ends. ‘Work experience helps you develop an understanding the world of work and an awareness of your own skills and abilities. And this experience does not necessarily have to be in your field of study although in the current economic climate, employers are looking for relevant experience,’ says Ari Katz, CEO at Boston. The willingness to work also highlights to a prospective employer, one’s enthusiasm and desire to be successful in your chosen career. Furthermore, it is a foot in the door, as often employers look towards their experience programmes or part time students for their future work force. Certain educational institutions are now taking it upon themselves to either offer work experience or assist with industry placements in order to improve graduates’ chances of finding employment. A growing number of students take time in between their studies to gain some kind of professional training, which will ultimately help them in their long term career plans. Locally Boston has been at the forefront of pioneering this approach. The college’s Experience It Programme, established 3 years ago, that helps students gain on-the-job experience either while they are still studying or at the end of their studies through arrangements with selected corporates. “We believe that the time is right for educators and the private and public sectors to come together to address the lack of skills and employment opportunities. By working together, we can make a difference to the lives of thousands of students by setting them on a sustainable career path. While companies are not obliged to pay learners, most agree to a small stipend,” says Katz. Despite the somewhat gloomy outlook for school leavers, it remains important they get some kind of skills and courses behind their name, whether it be completing a short course or registering for a university degree. This first step will at least provide the basis for a future career – and then backing their studies up with work experience will help ensure that doors of opportunity remain open. 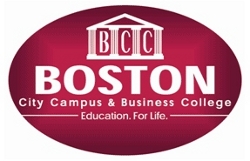 Boston offers a wide range of study option for school leavers and if you register before the 31 November 2013 for your 2014 studies, you will also qualify for an early registration discount.